Hollie Louise: Mac's Select Moisture Cover or Collection's Lasting Perfection Concealer? 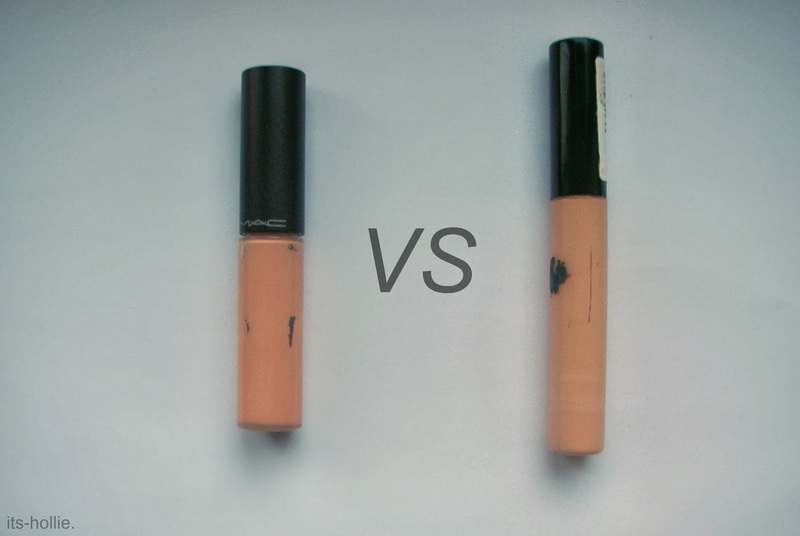 Mac's Select Moisture Cover or Collection's Lasting Perfection Concealer? For today's post, I've decided to explore whether higher end products are really worth the high price tag compared to some cheaper alternatives. 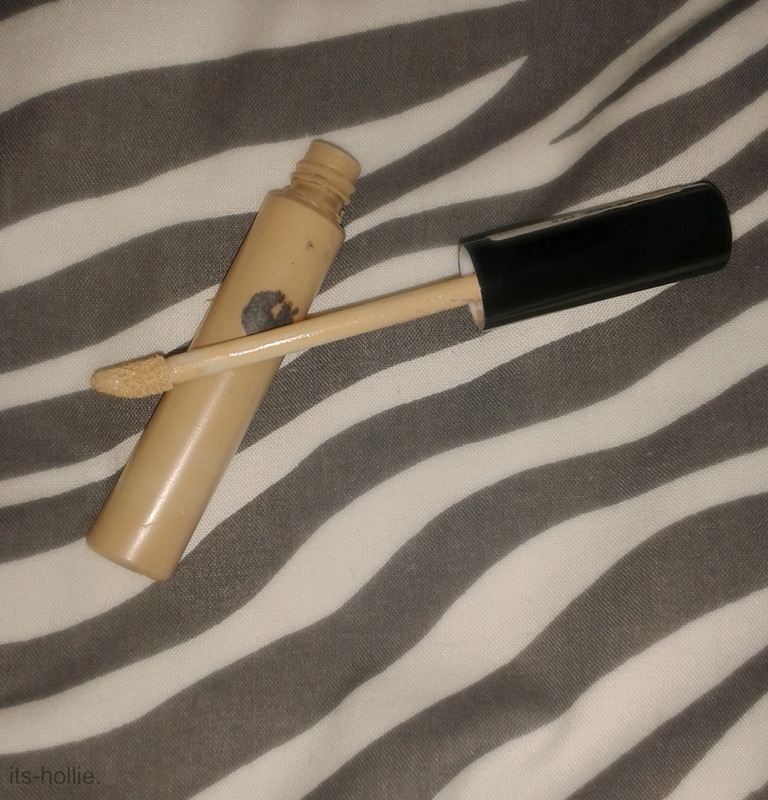 I've been using Collections Lasting Perfection concealer for over a year now after seeing the huge hype across the Youtube and Blogging world, and decided that I had no choice but to pick it up to see what the fuss was about. I've used both shade 2 Light and shade 3 Medium and I'm even tempted to pick up shade 1 Fair for an extra highlighted effect. Both the Mac and the Collection one come in tube with a doafer applicator, so are easy and not messy to apply. 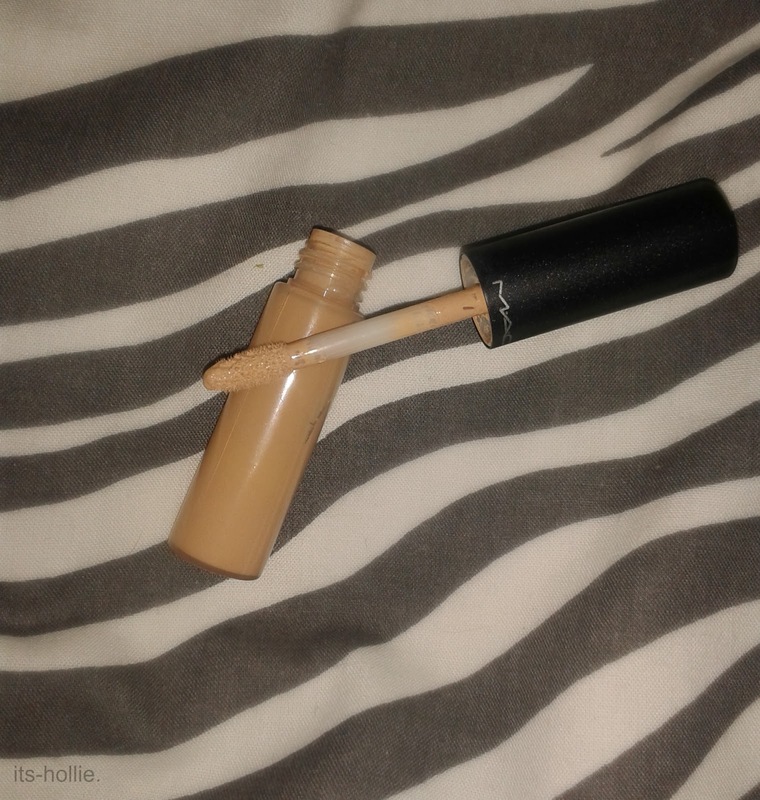 It definitely lived up to my expectations- high coverage, lasted pretty well, and matched my skin tone and colour. I was quite worried that it would be slightly too drying for my rather dry skin and under-eyes but I was pleasantly surprised and have had no trouble with my eyes looking dry when I've been wearing this. I use it on dark circles and any redness, hyper pigmentation and spots. It's especially good on blemishes as it covers well and lasts pretty much all day. After using that concealer for over a year, I was lucky enough to be gifted some Mac goodies for Christmas from my brother so I decided to try a concealer when I went for my hour appointment. I wasn't unhappy with my current Collection concealer, but I just wanted to widen my concealer experience and branch out. I'd heard so many outstanding reviews for the Pro-long wear concealer but some reviews said they found it slightly drying and I didn't want to run the risk of a flaky under eye. Instead I tried Select Moisture Cover, purely because the name sounded perfect for what my skin needed- moisture. I got the shade NW15, the same shade as my foundation but as usual Mac concealers tend to be lighter than the foundations. In the shop it looked great, matched my skin well, covered and didn't look drying so I brought it, along with a few other things. Obviously my brother wouldn't let me use it until Christmas day but when I did, I was still as pleased as I was in the shop. I was worried it would crease because it was so moisturising it but it didn't! After a few uses, I began to realise it was slightly to dark or orange, especially in comparison to my Collection one. Other than that I was still pleased with it and carried on using it. I decided to look up whether they did a lighter shade, but unfortunately they don't. The only problem I have found with Mac is that they're lightest shade is still not suitable for some light skins, does anyone else agree? Anyway I'm still using the Mac concealer, but mostly around my face opposed to my eyes, just because I like a lighter shade there. I like to swap between the Mac and Collection one. Sooo.. What is the verdict? Well I don't dislike Mac Select Moisture Cover, in fact if they did a lighter shade I would probably repurchase but for the price (£15) I'd rather pay £4.19 for a concealer that's just as good but in the right shade for me. I do also feel like the Mac one has slightly less product as I can already see through the sides at some points in the tube, after just over a month but my Collection one has lasted me ages. Overall I'd say if you're on a budget go for the Collection was because it's just as good, but if you're slightly darker than me, then I'd also recommend the Mac one. So are higher end products worth the higher price? This time no. I believe in this case you can get a good enough drugstore dupe. Hope this was useful and I hope you liked it. I would love to know whether you like this style of blog or if you'd prefer single product reviews. It would also be great to know your views on either of these products in the comment section and your personal experiences. See you soon!